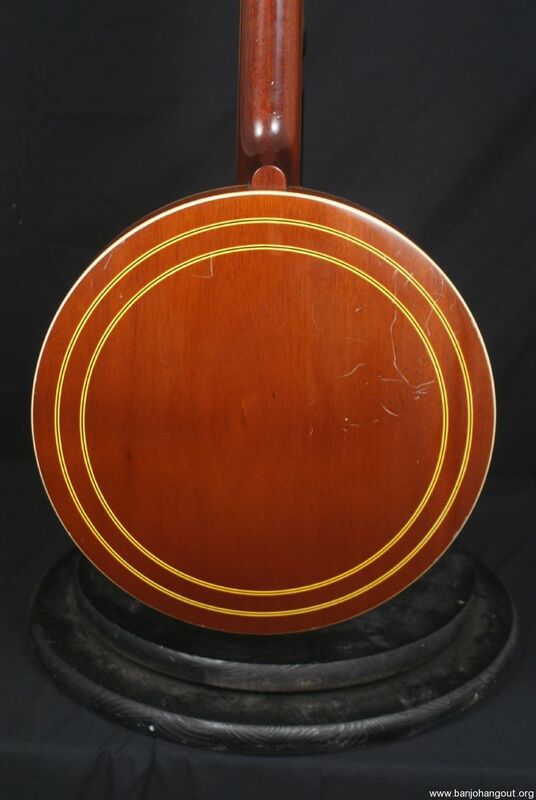 This is a mahogany banjo that has an ebony fretboard with leaves and bows inlaid and white binding on the neck and resonator. 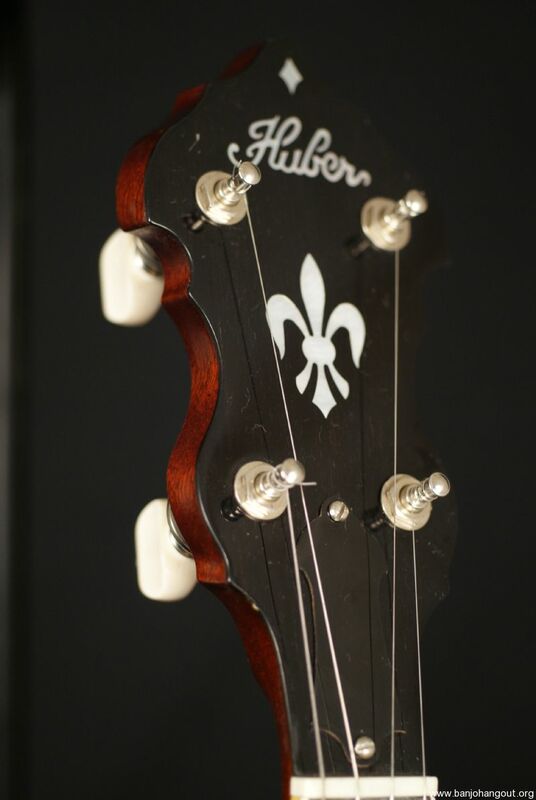 This has a Huber Vintage tone ring and a Huber vintage shell. The banjo is all original and we set this up so this is a LOUD banjo that cuts while still having an absolutely gorgeous tone. This was well taken care of overall but there is some scratching on the back of the resonator that you can see if you do a zoom on the back of the resonator. That must be from a belt buckle. Other than that the banjo is in fantastic condition and the hardware is glowing and even the frets are clean. 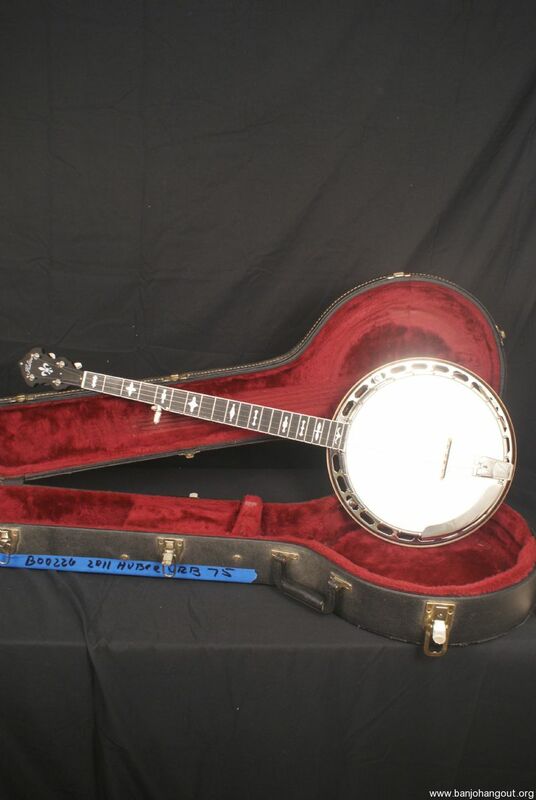 This is definitely a fantastic opportunity to get a Huber banjo because these are super expensive new and we have a great price on this considering that it is super clean except for some scratching on the resonator. 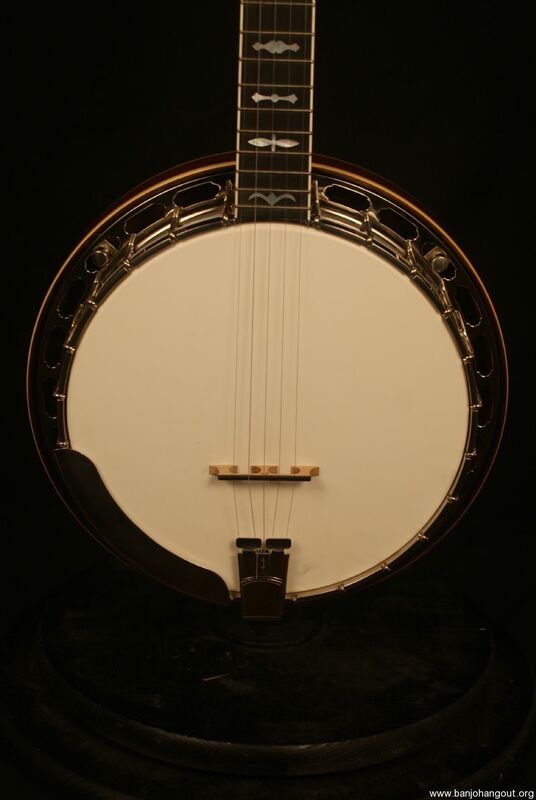 The fretboard looks and feels great and this is a great looking, sounding and playing banjo. There are spikes at the 7th-9th frets and this is set up and ready to go. This also includes a nice hardshell case. 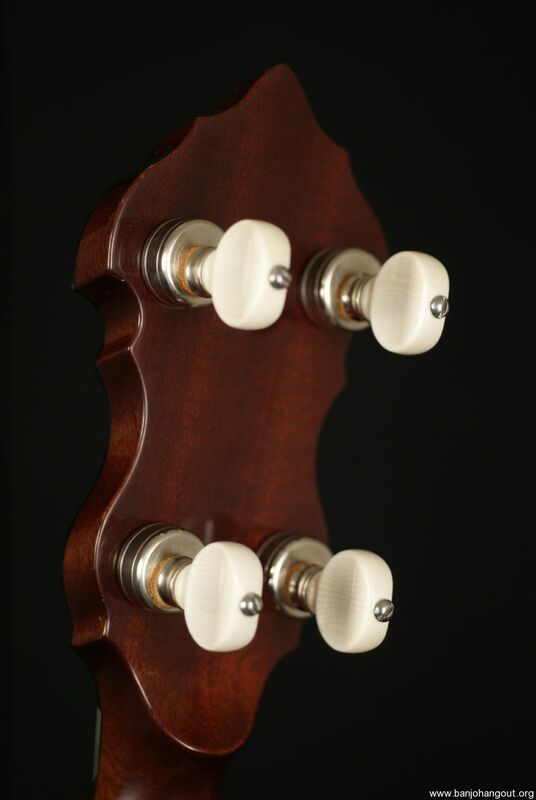 All of our banjos are sold with Free Shipping and this also has a FULL SATISFACTION GUARANTEE!!! If you have any questions at all please ask. Thanks!!! This ad will automatically expire 5/13/2019 2:52:04 PM unless updated before that date. To keep the system current, ads expire if not updated for more than 60 days.